For 10 years, Tarol Hunt has created funny, dark and beautiful images with Goblins: Life Through Their Eyes; a journey into the realm of tabletop RPGs told from the point of view of the goblins, the "monsters," instead of the adventurers. Now GOBLINS is becoming an animated series! THE STORY OF GOBLINS ANIMATED! 2007. Tarol Hunt was dreaming about being a comic book artist full time. He went out and pursued that dream with the support of the incredible Danielle Stephens. 10 years later we have the genius of Goblins Comic for all to see! 2012. Matt King starts poking at Tarol to make Goblins Animated, using a lot of pretty pleases. 2016. The Amazing Phil LaMarr jumps on board and the whole thing takes off. 2017. 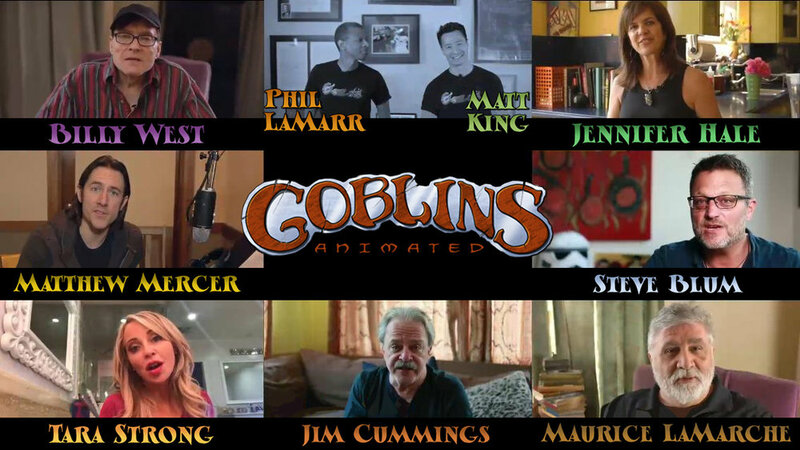 Goblins Animated becomes funded through Indiegogo! THE CAMPAIGN IS STILL GOING!